The PHA team is in its final few weeks before the holiday break. Over the past month, we have placed particular focus on planetary health education, student engagement, and strategic planning for the new year. We connected with the education working group leads, who will be holding calls with their working groups over the coming weeks, and convened the first discussion around the new Planetary Health Competency Framework Project, an effort led by Dr. Carlos Faerron Guzmán of the Organization for Tropical Studies that aims to establish a set of core competencies for planetary health education. We are also excited to launch the Planetary Health Student Ambassador Program to further expand student engagement at universities. A reminder that applications are due today. We convened the PHA Steering Committee members (members can be viewed on our website) to discuss strategic plans for the PHA in 2019 and beyond. We are excited to welcome our newest members, Courtney Howard of CAPE, Stephen Luby of Stanford University, Russ Hauser of Harvard T.H. Chan School of Public Health, Natalia Linou (Linos) of UNDP, and Antonio Saraiva of University of São Paulo. And lastly, we are thrilled to announce that the PHA-sponsored Planetary Health Film Prize at the Global Health Film Festival was recently awarded to "Albatross" for highlighting planetary health and presenting a call to action. 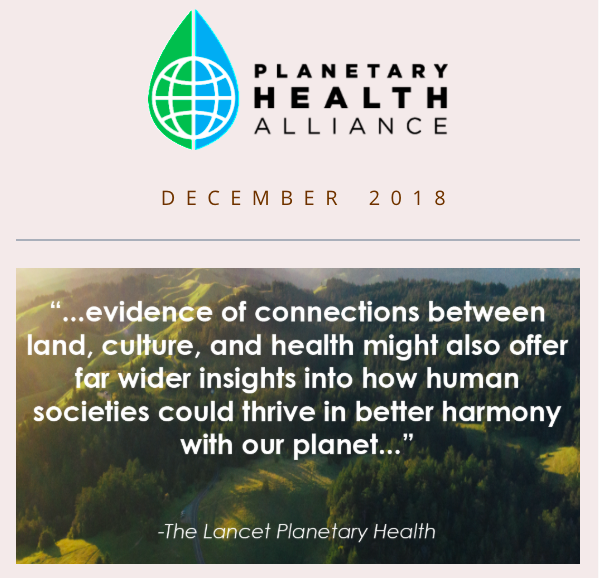 * Submit program proposals for the 2019 Planetary Health Annual Meeting. The application deadline has been extended to January 7. 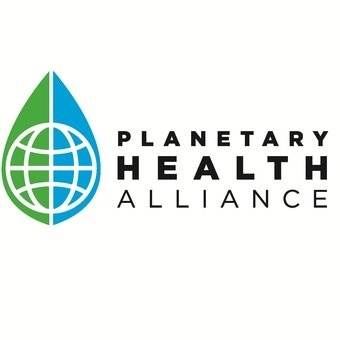 * Apply to the Planetary Health Student Ambassador Program. Applications are due TODAY, December 17. * Read the latest PHA blog post by Rachel Reeves on the planetary health challenges in the Cook Islands. * Submit your photographs to the open call for visual storytellers for a chance to have your work featured on our homepage by January 7.